Everyone enjoys going to the movies. While tastes vary from thrillers and action flicks to a good tear jerker it is always fun to see a place that you have visited. 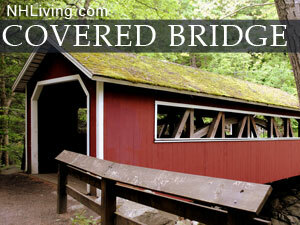 Ask us about NH Movie Locations or share your movie reviews and comments. To feature your business, contact us. Notes: Filmed in part in Claremont, NH. Notes: Filmed entirely on location in Peterborough, NH. Notes: Filmed in part in Winchester, NH. Notes: Filmed entirely on location in Claremont. Notes: Filmed in part. Motorcycle racing scene, gas station scene filmed in New Hampshire. Notes: Set in “Brantford”, New Hampshire, the movie was shot mainly around Keene, New Hampshire, where the animals stampede along Main Street. Filming also at Swanzey, and North Berwick and Kennebunk, south of Portland, Maine, near the New Hampshire border. The North Berwick Woollen Mill on the bank of the Great Works River, an historic landmark in North Berwick, became the Parrish Shoe Factory. Notes: This 1979 film was shot in part in New Ipswich, NH at the Barrett House, 79 Main Street, and Bullard-Barr House. Production Company: Back Lot Films, Inc.
Notes: This film was shot entirely in New Hampshire with the cooperation of the New Hampshire State’s Division of Parks & Recreation, United States Forest Service, and Manchester Department of Waterworks. 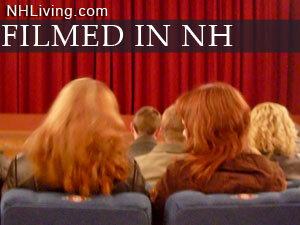 Discover great Made in Movies and Movies Filmed in NH by region. Great North Woods, White Mountains, Lakes Region, Dartmouth-Sunapee, Monadnock, Merrimack Valley and Seacoast.